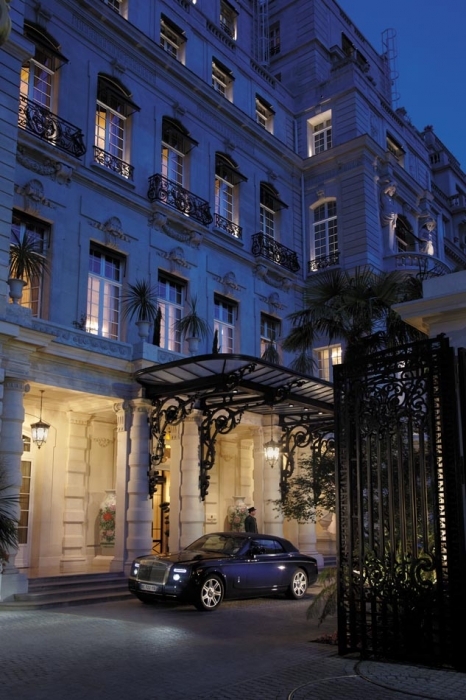 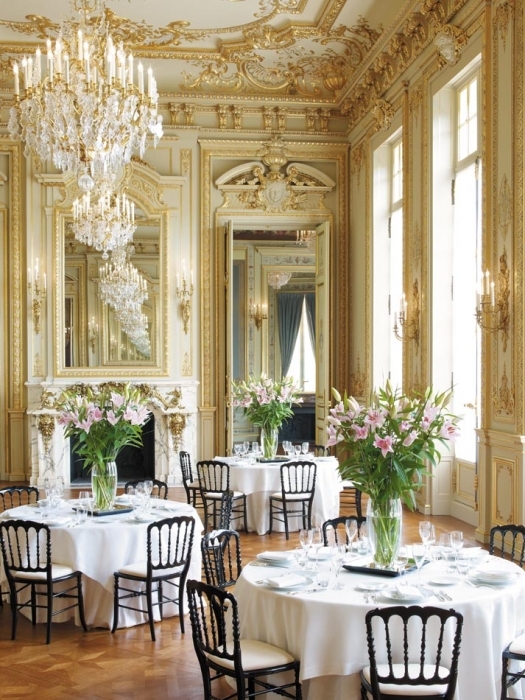 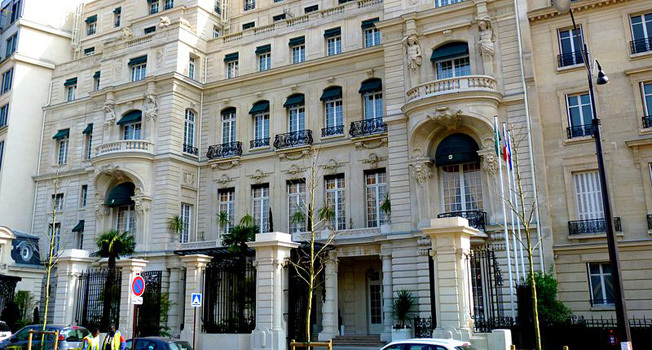 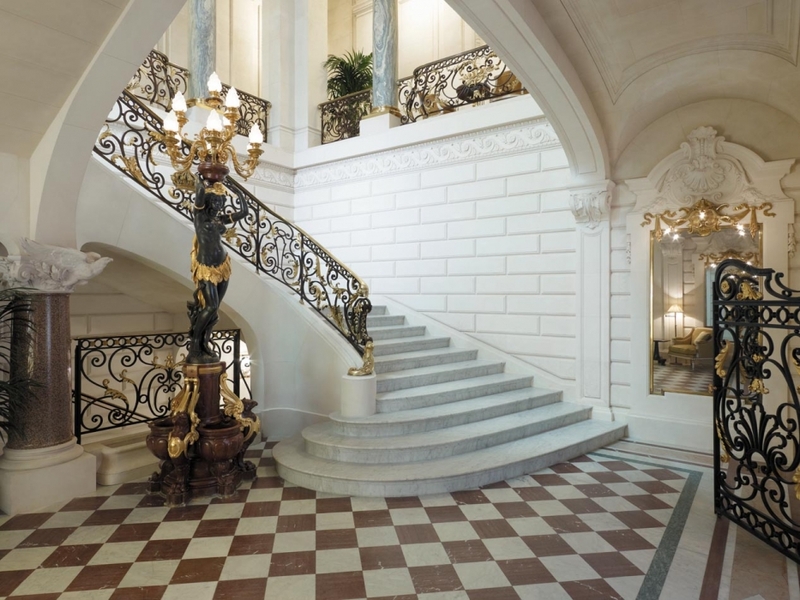 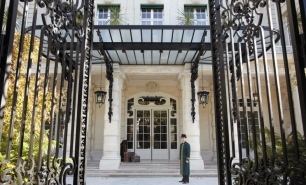 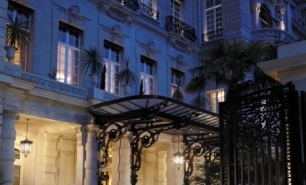 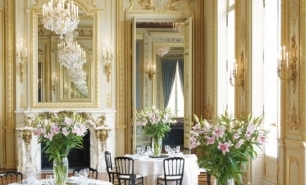 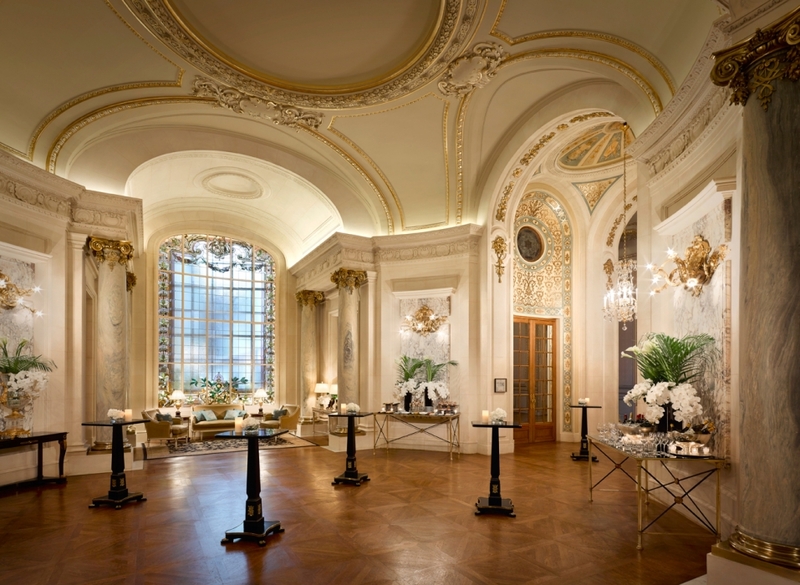 The Shangri-La Hotel, Paris, is located in the 19th-century former residence of Napoleon Bonaparte’s grandnephew, Prince Roland Bonaparte, in one of the most elegant and exclusive neighbourhoods of Paris. 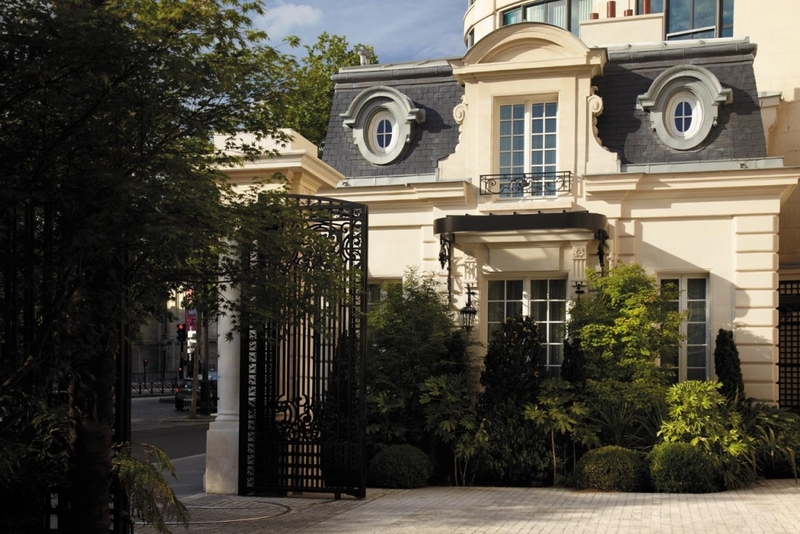 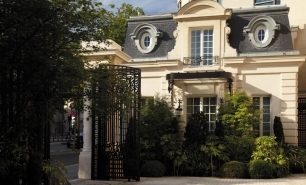 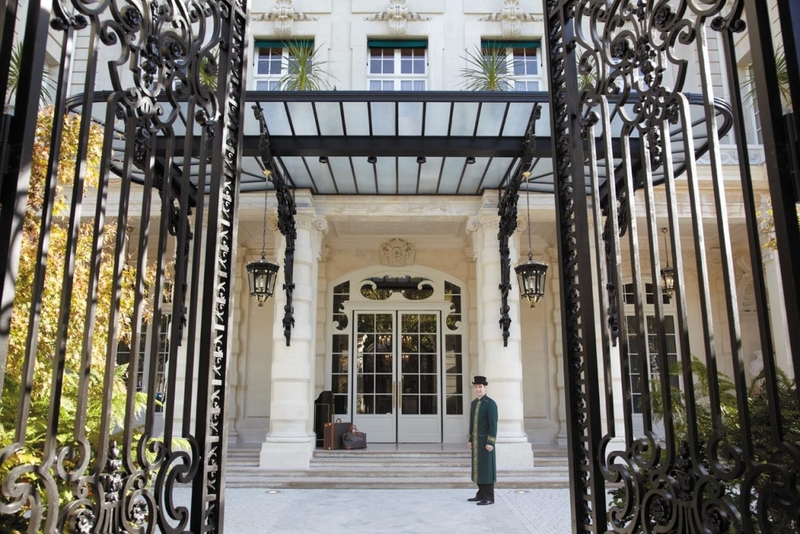 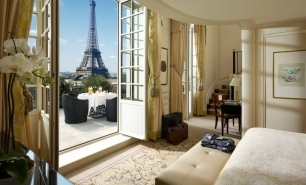 The hotel is less than half a mile from the Eiffel Tower and the Seine River, while Montaigne Avenue and George V Avenue's exclusive designers and luxury boutiques are just a short walk away. 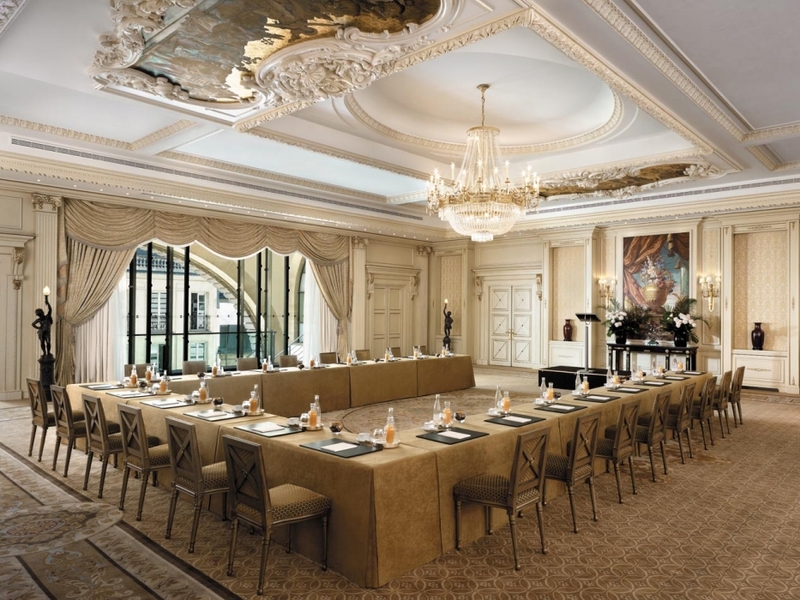 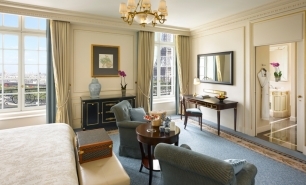 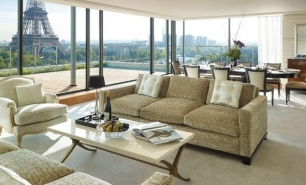 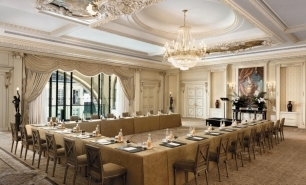 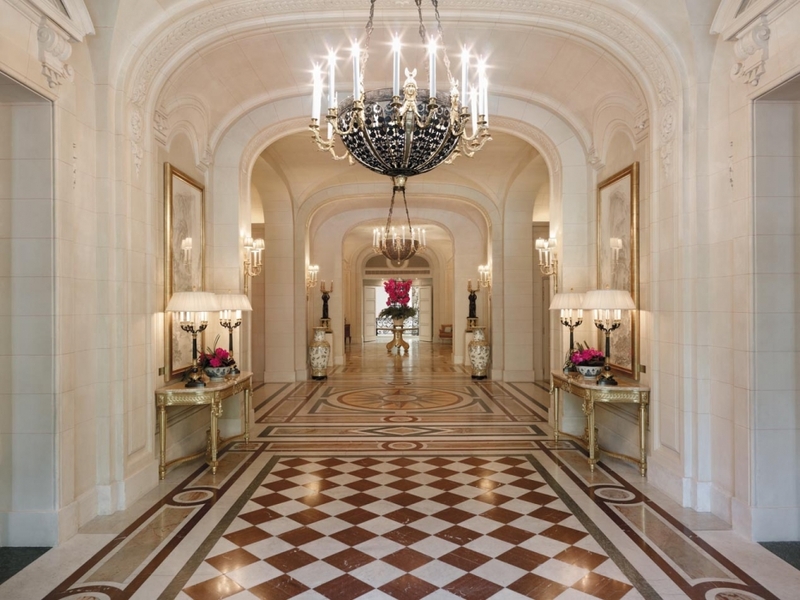 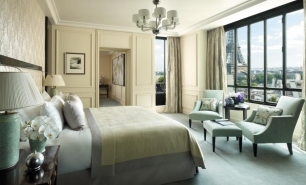 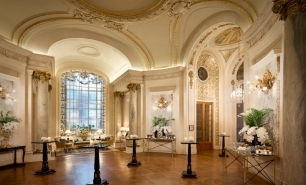 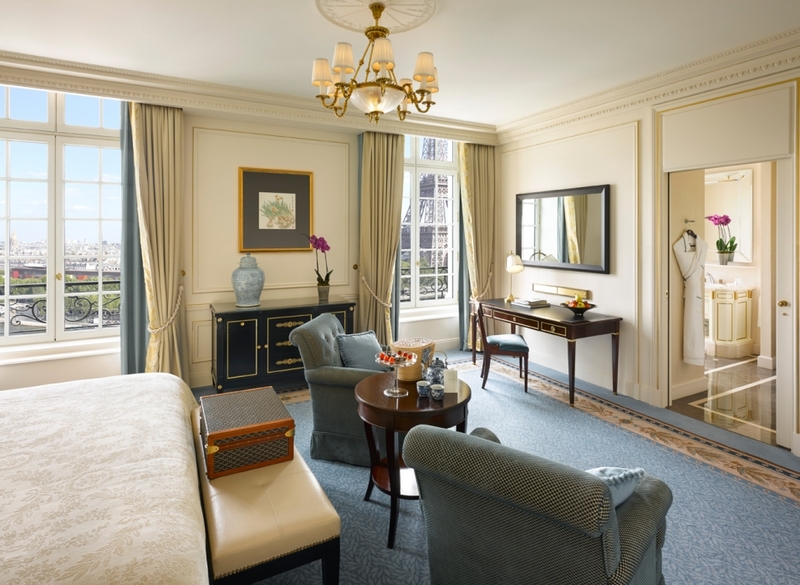 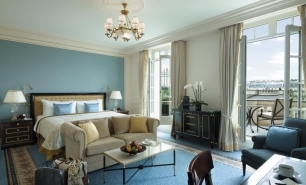 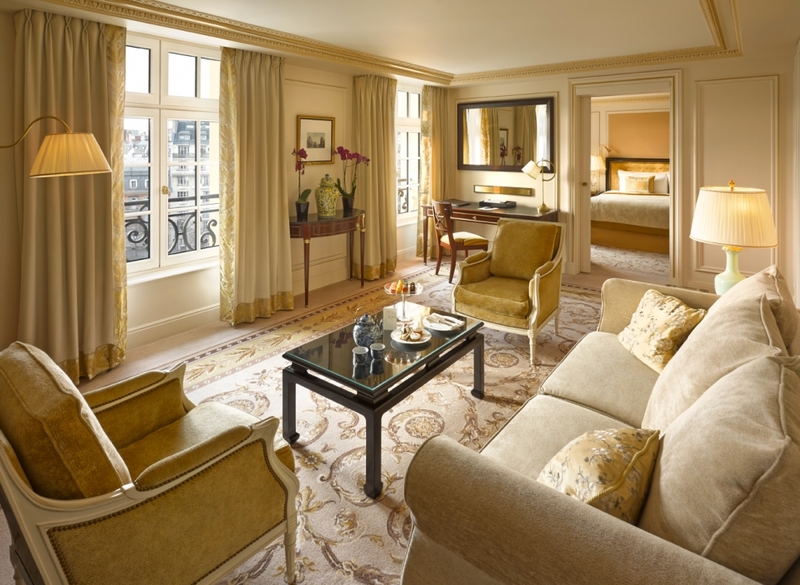 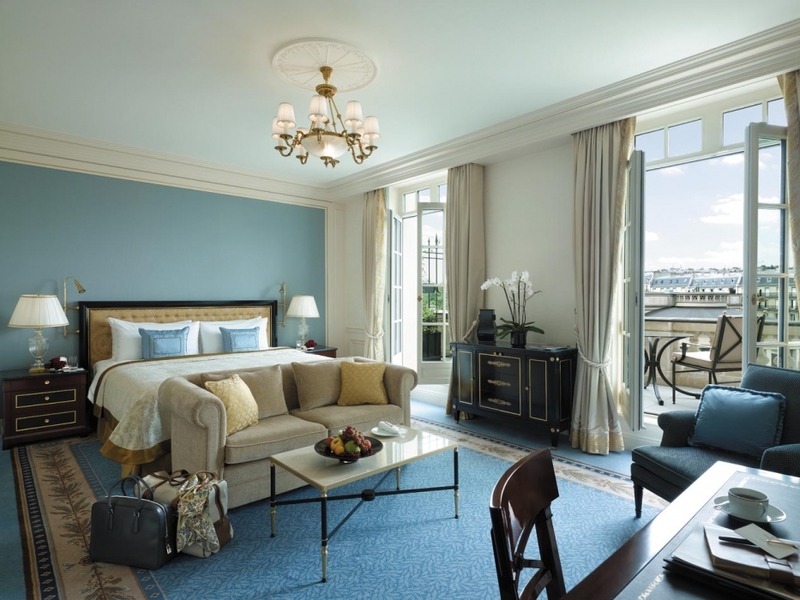 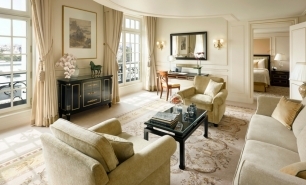 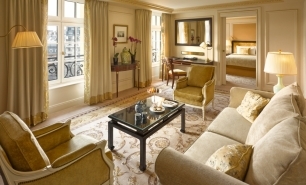 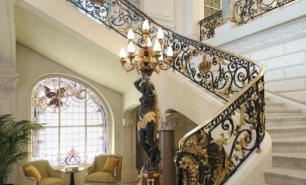 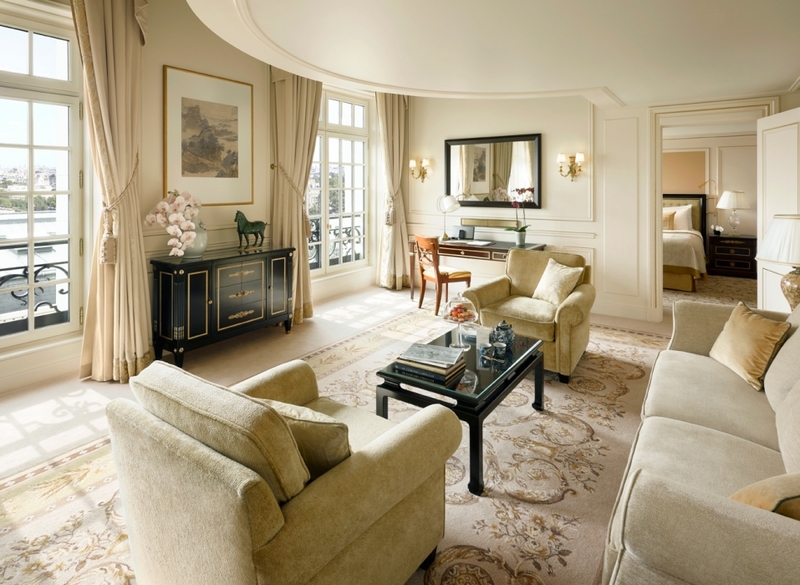 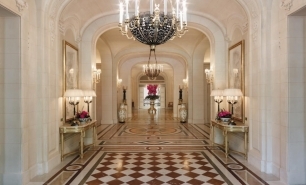 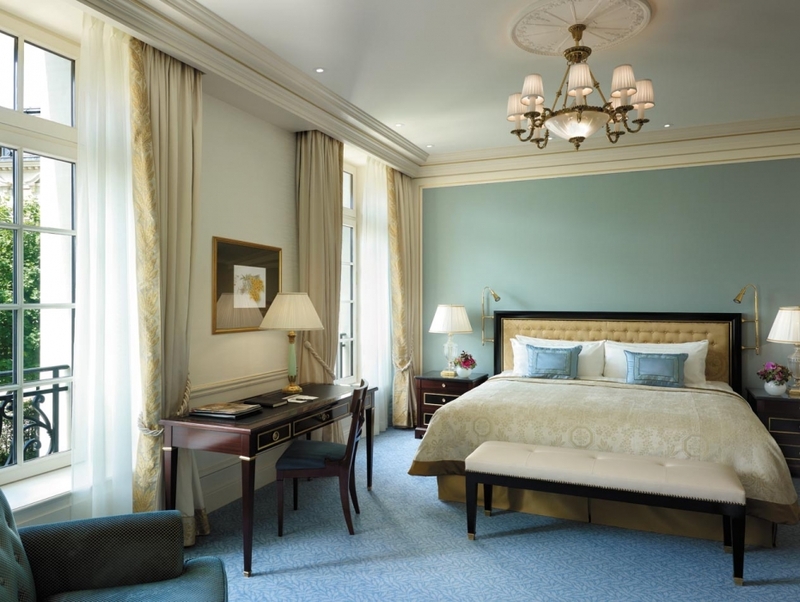 The Shangri-La Hotel, Paris, offers 54 rooms (35-57sqm) and 27 suites (55-220sqm), including the three signature suites Caillot, Imperiale and Shangri-La (110-220sqm). 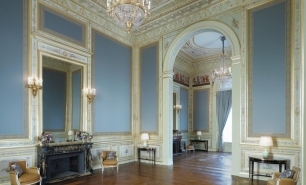 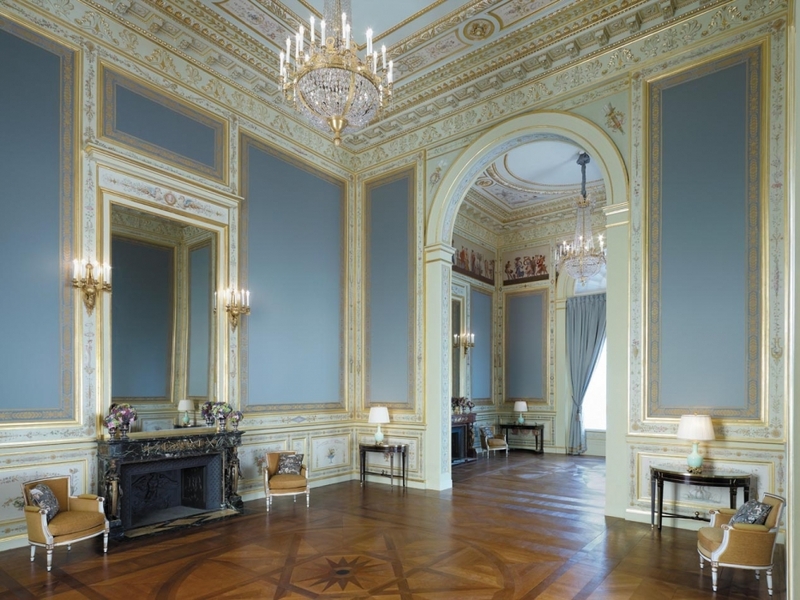 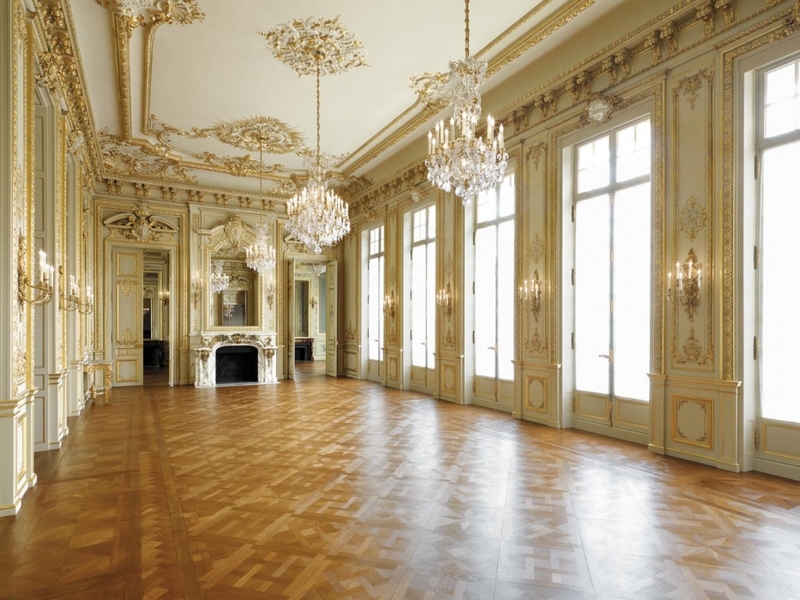 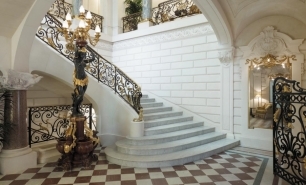 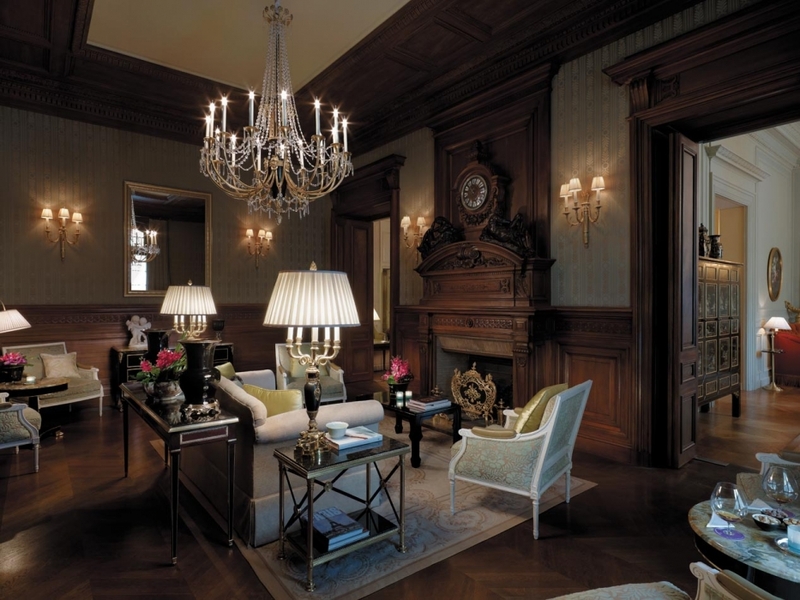 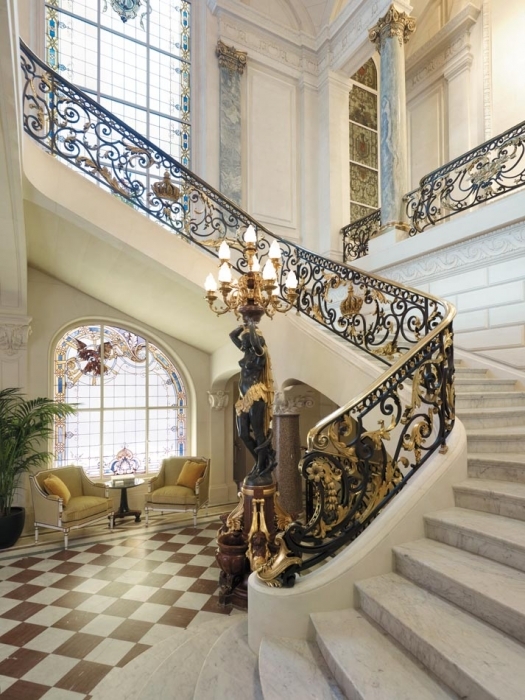 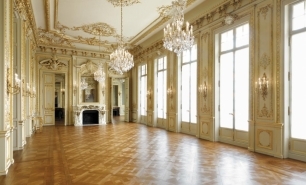 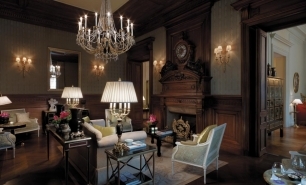 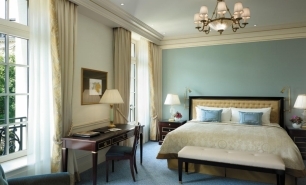 The room designs are an intriguing combination of French Empire and Luxury minimalist style. 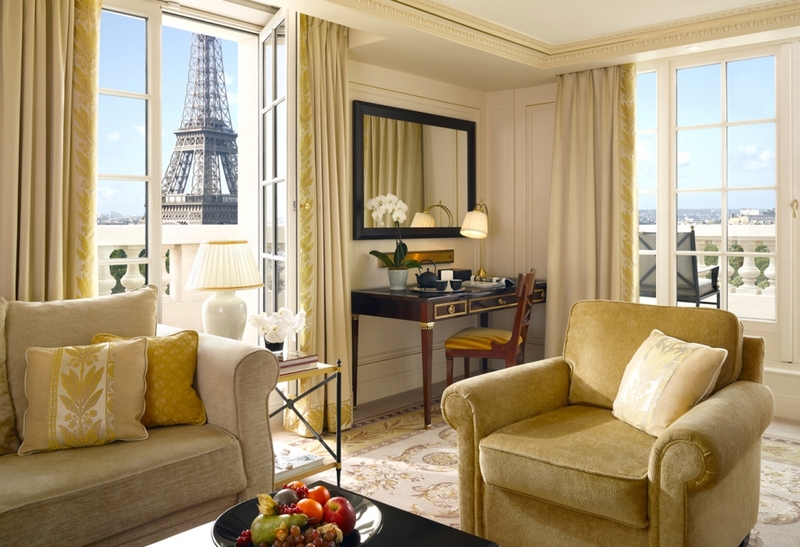 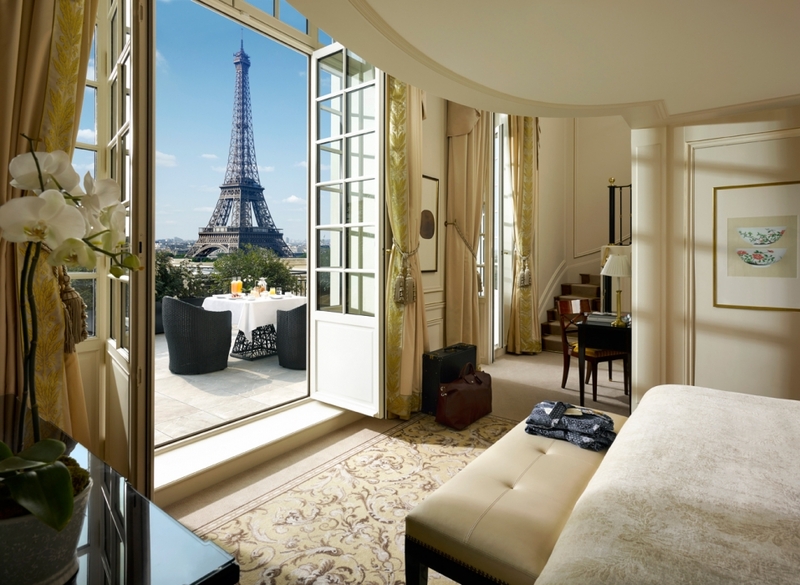 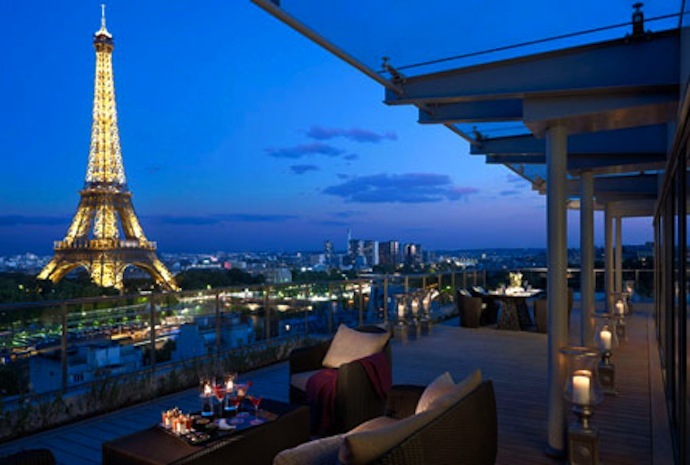 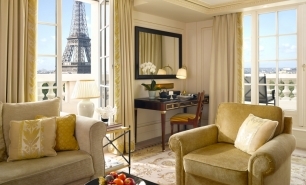 Some rooms and suites have excellent views of the Eiffel Tower and terraces. 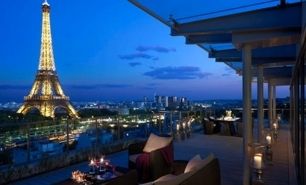 La Suite Shangri-La is located at the top of the hotel on the 7th floor, offering 220sqm of living space and a private 100sqm terrace. 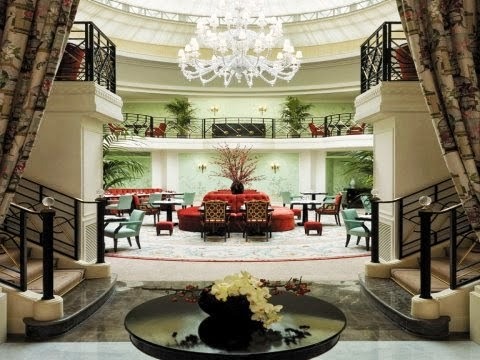 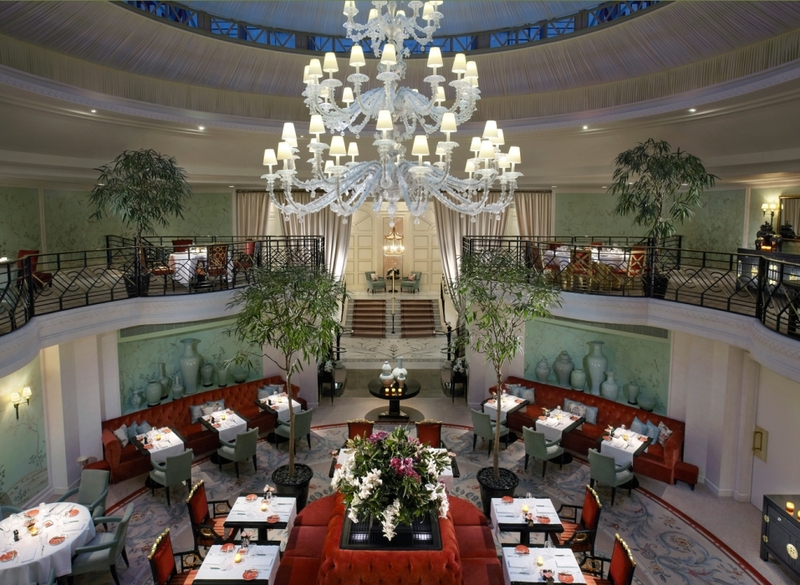 Dining options include French and Asian cuisine at La Bauhinia, gourmet French cuisine at L’Abeille, and Cantonese cuisine at Shang Palace. 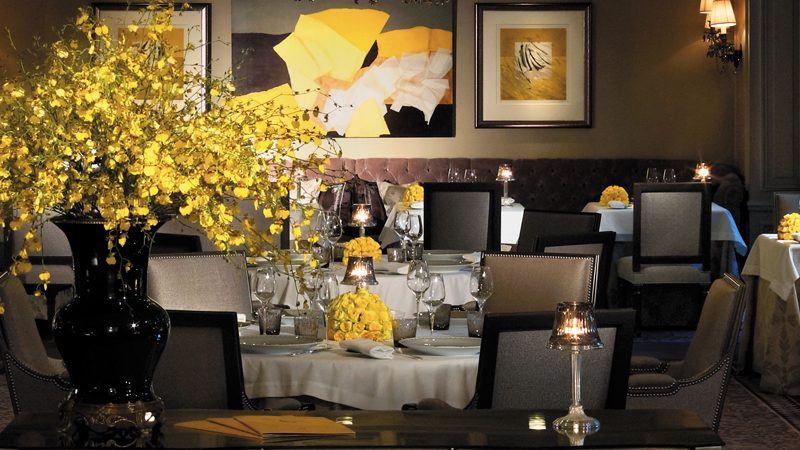 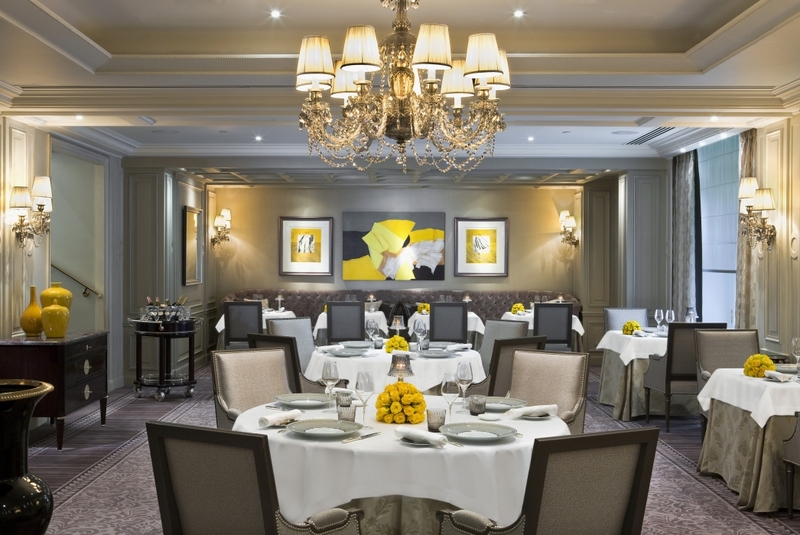 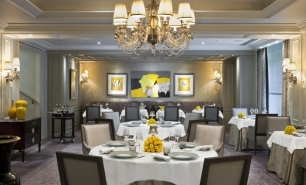 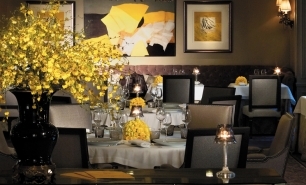 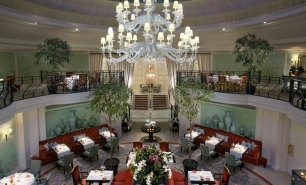 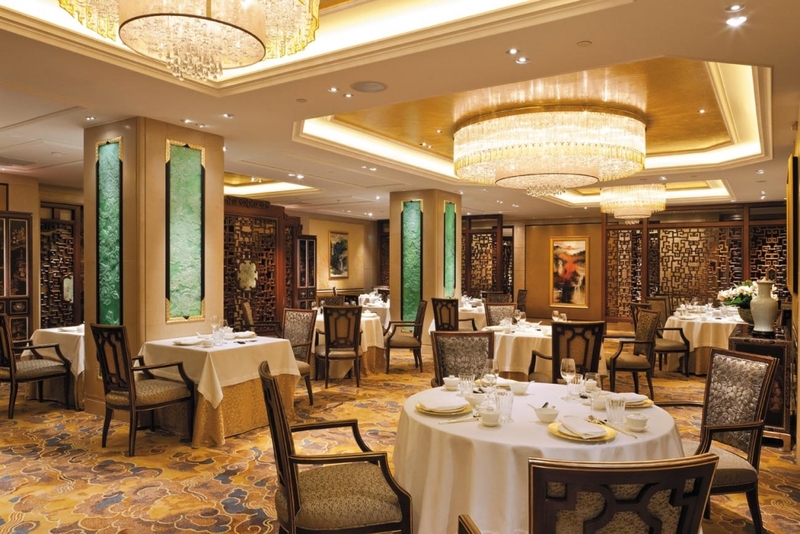 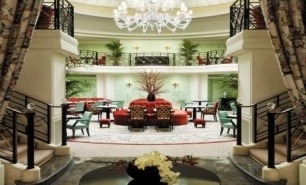 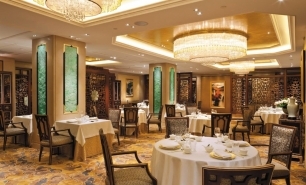 L'Abeille was awarded 2 Michelin stars and Shang Palace 1 Michelin Star in 2012. 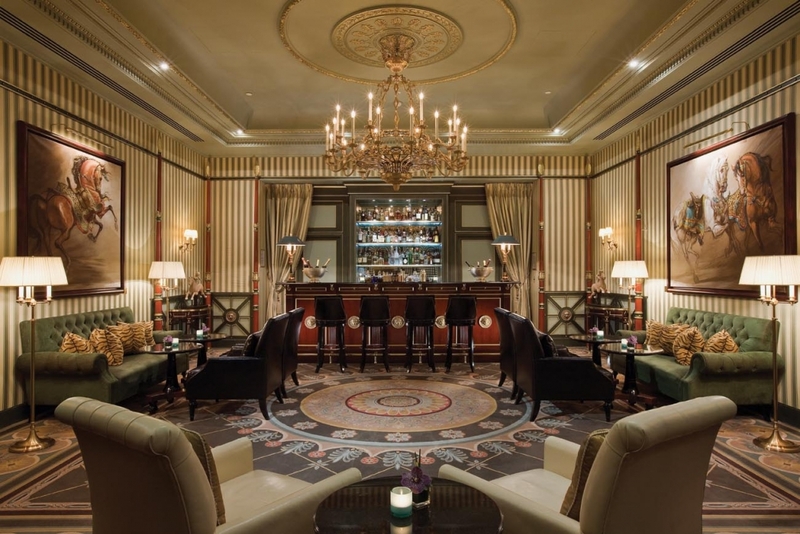 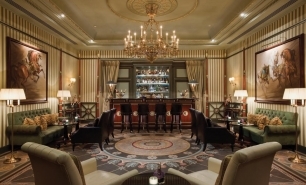 Le Bar features authentic Empire décor, providing guests a fantastic venue in which to enjoy a cocktail or glass of wine. 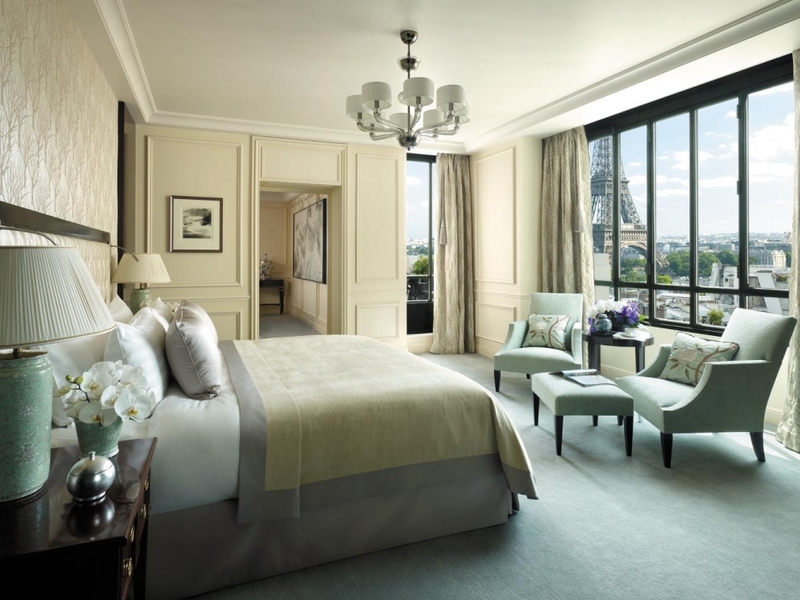 Health and leisure facilities at Shangri-La Paris include a fitness centre, a 15m indoor pool with outdoor terrace and a CARITA beauty treatment centre. 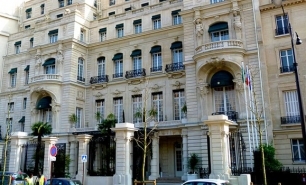 40-50 minutes to Paris Charles de Gaulle Airport (CDG), 40 minutes to Paris Orly (ORY) and 40-45 minutes to Le Bourget Airport (LBG), 15 minutes by car from Gare de Nord train station for Eurostar trains from London and Brussels.